English: Portrait of en:Edsger W. Dijkstra, one of the greatest mathematicans in history of modern mathematics. Tiếng Việt: Chân dung của vi:Edsger W. Dijkstra, một trong những nhà toán học vĩ đại nhất trong lịch sử toán học hiện đại. Español: Retrato de es:Edsger W. Dijkstra, uno de los grandes matemáticos en la historia de la matemática moderna. 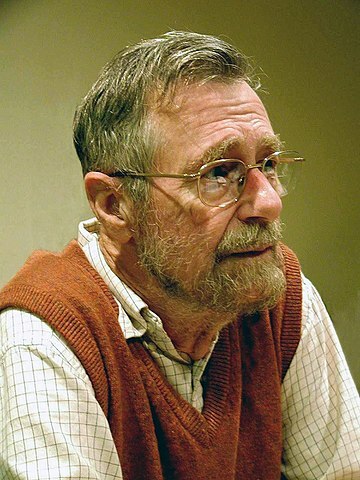 Français : Portrait de Edsger Dijkstra, l'un des plus grands mathématiciens de l'histoire des mathématiques modernes. Wikimedia has received an e-mail confirming that the copyright holder has approved publication under the terms mentioned on this page. This correspondence has been reviewed by an OTRS member and stored in our permission archive. The correspondence is available to trusted volunteers as ticket #2008061210003743.